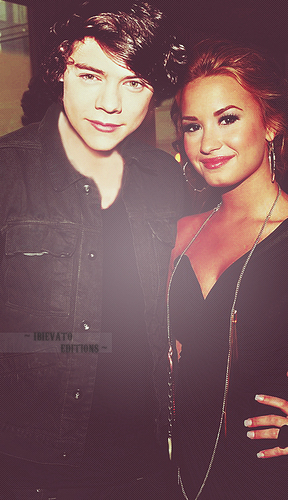 Harry and Demi Lovato. My first photomontages lmao. Wallpaper and background images in the harry styles club tagged: harry styles harry styles one direction x factor direction one.